Marcel Hanoun was born in 1928 in Tunisia. A photographer and journalist, he has directed films, since 1955, many significant works in the history of the creation of filmic forms. An essayist on cinema as well, Hanoun co-founded several critical reviews in the 60s and 70s. This engaged creator is cameraman and editor of most of his films. His body of work is at once subversive and ascetic, known throughout the world, and respected by many great artists. The strength of contemporary experimental cinema has encouraged us to meet and to film the most active filmmakers, distributors, movers and shakers in this art form. This developed into a number of autonomous portraits, forming a series demonstrating the plurality of approaches and practices in experimental film. Our independent productions introduce or complement the work of the artists, technicians, distributors and programmers who participate in the life of contemporary art cinema. Frederique Devaux & Michel Amarger have been making experimental films and documentaries since 1980. Frederique Devaux is a film critic and professor of cinema. Michel Amarger is a journalist specialising in cinema on various media. 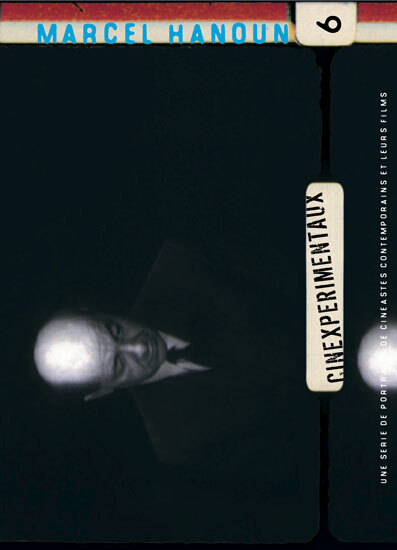 This DVD contains: Cinex#6 Marcel Hanoun, Frederique Devaux and Michel Amarger, 2003, 68 min Des Hommes Qui Ont Perdu Racine, 1956, 17 min Je Meurs de Vivre, 1992-1994, 53 min All rights of the producer and of the owner of the work are reserved. Unless authorized by the rights holder, no duplication, hiring, lending or public screenings are allowed. For institutional purchase please contact Re:Voir directly. Marcel Hanoun was born in 1928 in Tunisia. A photographer and journalist, he has directed films, since 1955, many significant works in the history of the creation of filmic forms. An essayist on cinema as well, Hanoun co-founded several critical reviews in the 60s and 70s. This engaged creator is cameraman and editor of most of his films. His body of work is at once subversive and ascetic, known throughout the world, and respected by many great artists. The strength of contemporary experimental cinema has encouraged us to meet and to film the most active filmmakers, distributors, movers and shakers in this art form. This developed into a number of autonomous portraits, forming a series demonstrating the plurality of approaches and practices in experimental film. Our independent productions introduce or complement the work of the artists, technicians, distributors and programmers who participate in the life of contemporary art cinema. Frederique Devaux & Michel Amarger have been making experimental films and documentaries since 1980. Frederique Devaux is a film critic and professor of cinema. Michel Amarger is a journalist specialising in cinema on various media. This DVD contains: Cinex#6 Marcel Hanoun, Frederique Devaux and Michel Amarger, 2003, 68 min Des Hommes Qui Ont Perdu Racine, 1956, 17 min Je Meurs de Vivre, 1992-1994, 53 min All rights of the producer and of the owner of the work are reserved. Unless authorized by the rights holder, no duplication, hiring, lending or public screenings are allowed. For institutional purchase please contact Re:Voir directly.